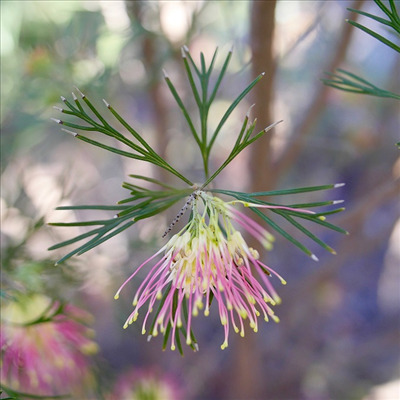 A wonderful fall- winter flowering grevillea closely resembling Grevillea 'Winpara Gem' in foliage and flower. The flower is more apricot-yellow-pink than bright red. Fast growing shrub that can be pruned for shape. Flowers profusely and attracts hummingbirds. Great grevillea for cooler climates. Propagation Information: Grown by cutting.